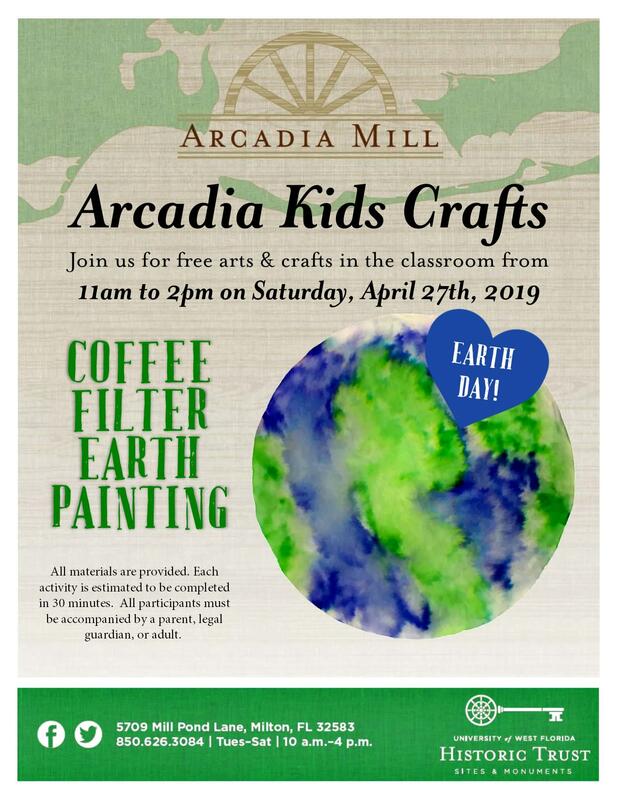 Arcadia Mill will host a free Kids Craft on Saturday, April 27 from 11 a.m. and 2 p.m. Children will make a coffee filter Earth painting while learning about Earth Day. All materials will be provided. 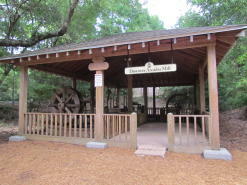 Each activity is estimated to be completed in 30 minutes. All participants must be accompanied by a parent, legal guardian, or adult. 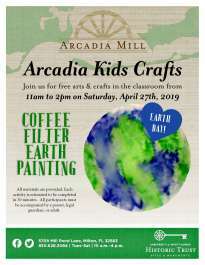 For more information, contact Arcadia Mill staff at 626-3084 or arcadiamill@uwf.edu.